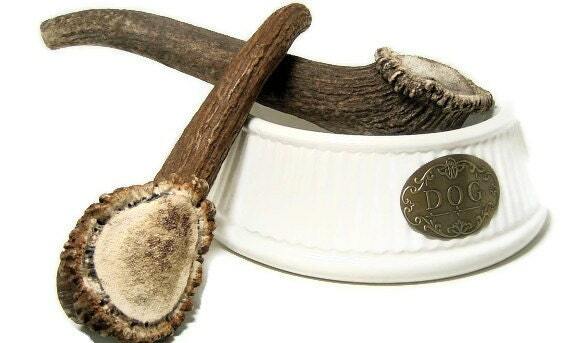 Extra Extra Large Elk Antler Dog Chew Tine and Burr providing an extra long chew time. Perfect for the most aggressive chewer. This is a listing for 1 antler/burr combination. The approximate size is 10" or longer and the burr is approx.3" in diameter at the longest point and the antler will weigh at least 11oz. The pictures are representations and yours may differ slightly from the pictures. This antler will generally last months.